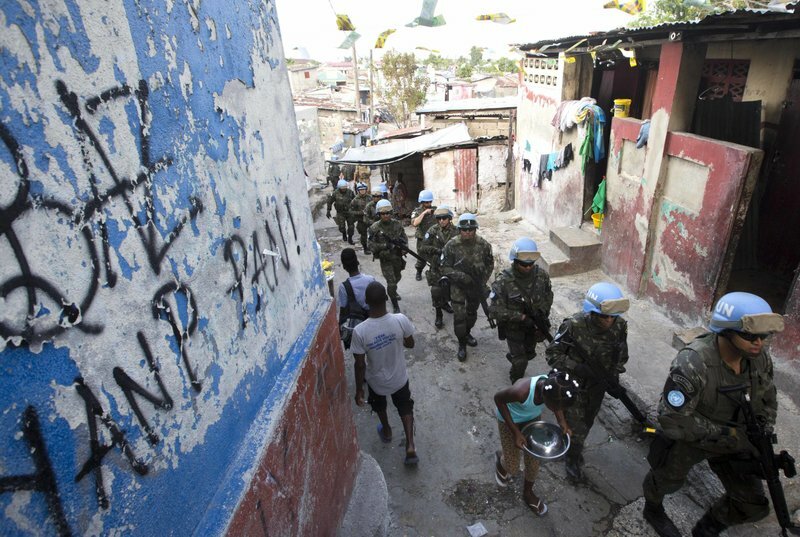 The UN peacekeeping mission in Haiti, which is known by its French acronym MINUSTAH, is likely to significantly downsize its presence in Haiti in the near future. Over 2,000 soldiers from 19 contributing countries will be sent home, although the plans for foreign police officers and civilian staff remain uncertain. Some suggest that civilian staff will remain in Haiti alongside the UN police, an unprecedented move in UN peacekeeping history. A few dozen Brazilian troops wearing the blue helmets of the U.N. military force stroll through a dense warren of shacks in Haiti’s most notorious slum, facing no greater threat than a few barking dogs along some of the same streets where pitched gunbattles between gangs and peacekeepers used to be a daily occurrence.